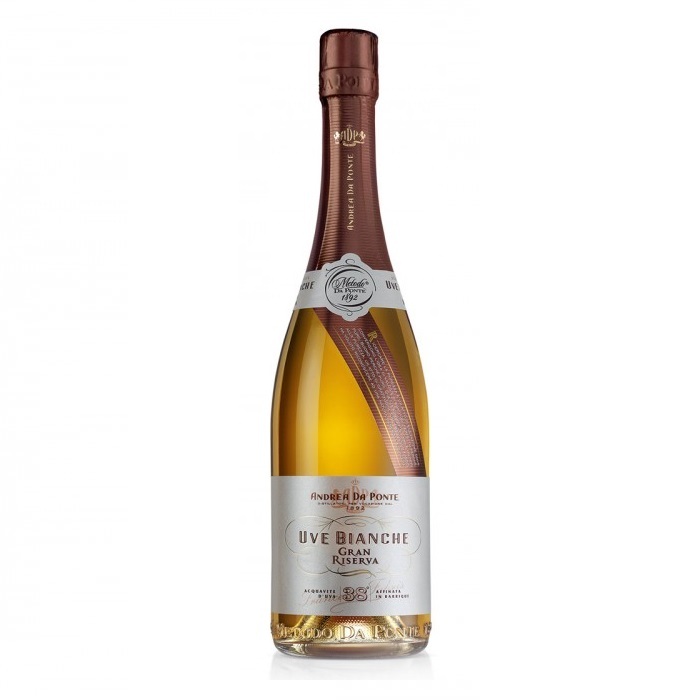 Uve Bianche Riserva is a noble grape spirit aged over 3 years in Limousin oak barrels. Gloriously rich floral and fruit notes are a perfect foil for the delicate scents of grapes. The palate, well-evolved and with pronounced yet smooth tannins, displays a refined sweetness well complemented by toasted almond, honey, and vanilla. The first sip reveals its exciting character, while its long-lingering, tasty finish completes its perfect progression in the mouth. The traditional single-batch, bain-marie pot still process, the *Da Ponte Method*, makes this acquavite an elixir for connoisseurs, and the perfect distilled spirit to render great moments truly memorable.